Infrastructure projects should be fully funded and follow oft-ignored legislative guidelines, the state auditor said Wednesday. Auditor Tim Keller issued a list of best practices for capital outlay projects a few weeks after reporting that more than $1.2 billion in the system remains unspent. New Mexico’s capital outlay allocation system allows individual lawmakers to divvy up severance tax bond proceeds for specific projects they select. But often, those projects take years to fully fund and many aren’t ready to go when they’re funded. This year, legislators divvied up $82 million for such projects. But a New Mexico In Depth analysis indicated more than 500 of those projects were underfunded by $245 million. Requiring matching funds to be in place. Align state and local priorities. Follow need-based and planning criteria in legislative guidelines. Those criteria aren’t mandatory, so they’re often not followed. Do a better job of centrally monitoring projects and cut red tape so they’re funded more quickly. Include specific expiration dates for funding. “Our capital outlay system is broken and it’s holding our state back. It’s time to embrace best practices that will allow us to make an efficient use of public dollars and move the needle to improve our communities,” Keller said in a news release. The Legislature killed efforts to reform the capital outlay process in the recent 30-day legislative session. New Mexico lawmakers appropriated more than $1.1 billion for more than 2,800 capital outlay projects from 2010 through 2014 for everything from new and renovated buildings to dam renovation and road maintenance.. But less than half the money has been spent, according to an analysis of those projects by New Mexico In Depth. Some projects never get off the ground, some require more infusions of state money. 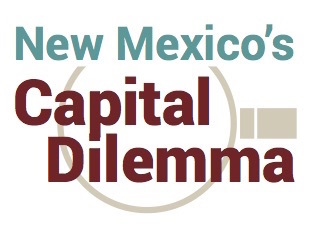 New Mexico In Depth and its media partners are examining a process that many say needs reform. An informant appears to have provided heroin to Davon Lymon, which he allegedly then sold to federal agents, according to a newly filed motion in federal court.